UZ Marketing's EndurACE are printed on a special type of cardstock that is resistant to water and is mostly tough against tears. These cards were designed with durability and lifespan in mind. 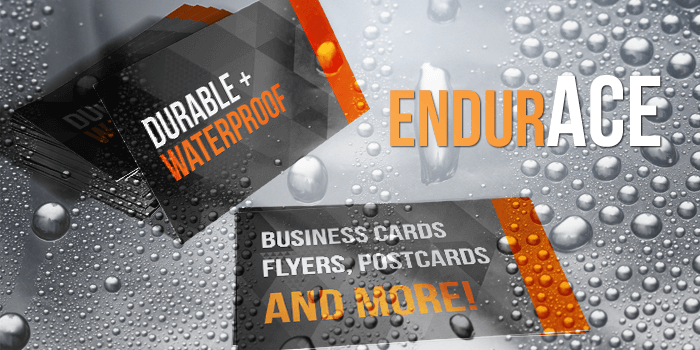 our EndurAce cards are printed on a special 10pt cardstock. Feel free to request for a sample kit if you'd like to see it for yourself. Great for outdoor purposes, such as pool service, construction workers, general contracting, lawn service, mechanics, and Sea World employees. Upload and approve your print ready design or upload it to your design brief.